When you file for a dissolution of marriage in Colorado and the court finalizes the petition, the filing becomes public record. This is just the same as a marriage certificate becoming public record after a marriage. That means that anyone can look up your divorce and see that it has been finalized if they want to. Freedom of information laws allow ensure this. What’s more, if your divorce includes a divorce settlement that outlines how the division of your property, who will get custody of your children, whether alimony will be part of your divorce settlement, etc., this too will become public record. Are There Ways to Avoid a Divorce Record Becoming Public Information? While divorce proceedings are public matters and therefore a filing for dissolution of marriage will become public record, there are a couple of options for protecting your privacy. When records are filed under seal, they are are not available for public viewing. Records that are typically filed under seal include those involving any identification amongst children or sexual abuse victims, for example. A court may also agree to file a divorce under seal if information could be potentially harmful to an individual should it become available to the public. Another option for protecting your information is to create a property settlement agreement as part of a cooperative divorce process. This exists as a contract (and is enforceable as such) but it is not filed with the family court, and therefore is not entered into public record. One of the most important reasons to work with an attorney when filing for divorce in Colorado is not just to protect your financial interests, but also to protect your privacy. Your attorney can help you to understand what parts of your divorce settlement may be viewed by the public, and what your options are for mitigating the details of your divorce becoming public record. 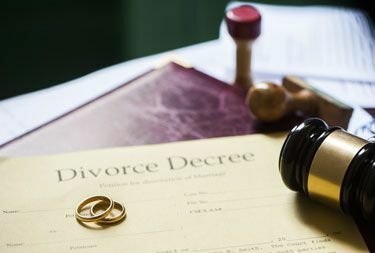 At the law offices of Bloch & Chapleau, LLC, our Colorado divorce attorneys realize the sensitive nature of divorce, and understand that you may take issue with a divorce settlement becoming public record for a variety of reasons. When you call our law firm, we will work hard to protect your confidentiality. To learn more about our legal services and why you should work with us, please contact us today by phone or online to schedule an initial consultation.